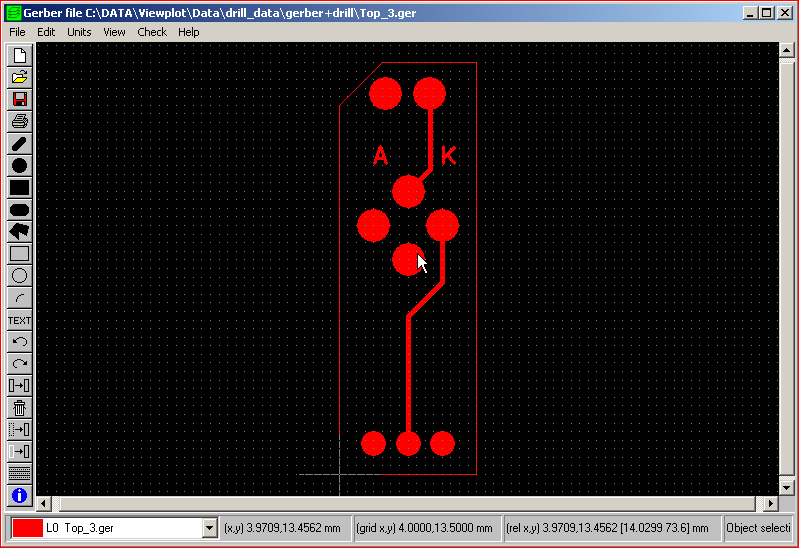 drag & drop the file into the Viewplot icon. 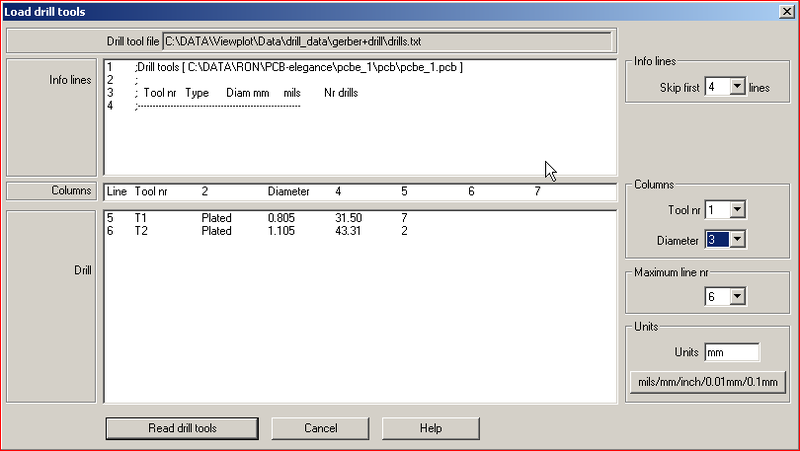 when the data is correct it will be recognized as Drill file type, press OK to continue. The drill format can be set here. In the header of the window there is a preview from the file. The Number format and units can be set here. When you unsure about the file format the Hint by program function can be used to find the possible format. When no Tools loaded yet, a message window will pop-up with the note that the tools not exist. Ignore these message and Press OK to continue. The Drill file is now loaded an can be seen in relation with the Gerber file that should correspond with these. Go to the drill layer and select everything by: Select all and Delete. 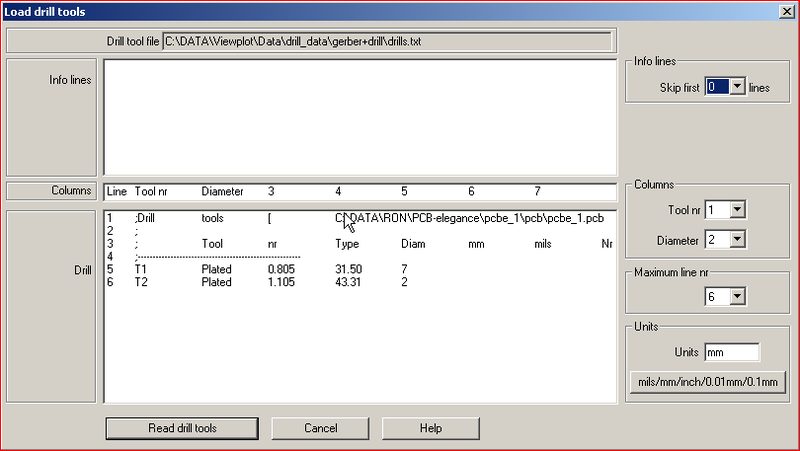 Now the previous drill data is gone the data can be loaded as before with a different format. press the Read drill tools button to continue. A message window will pop-up to inform about the amount of drills that have been found in the file. If there was a Tools file loaded before a message will pop-up to ask if the drill layers can be reloaded. The reloaded drill data is now correct. 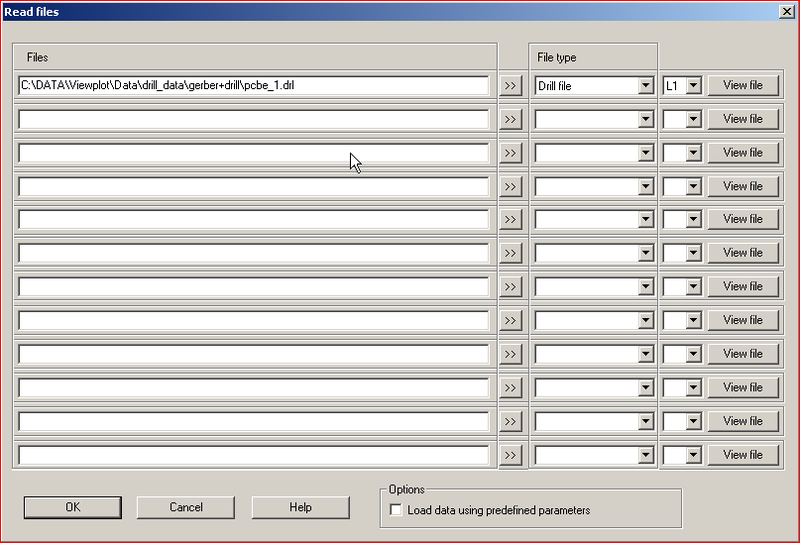 Tool file and drill file can be loaded in one action as well.